The sport of NASCAR suffered the lost of one of it’s most popular and iconic figures on February 18, 2001, when legendary driver Dale Earnhardt fatally crashed during the final lap of the 2001 Daytona 500. It all started when Sterling Marlin’s Dodge hit the rear bumper of Earnhardt’s car and sent him spinning into the middle of the track. 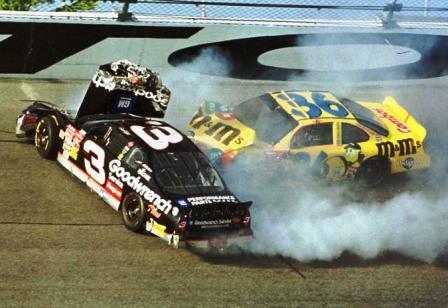 Ken Schrader was unable to veer around the car and hit Earnhardt’s passenger side door head on, sending him smashing into the wall at 155 miles per hour and then pushing the vehicle down the track.